As one of the first home computer manufacturers, Commodore had quite the line-up of iconic computers in the late ’70s and ’80s. Models like the Commodore VIC-20 and the legendary Commodore 64 are highly collectible these days, but true retrocomputing enthusiasts know that the raddest computer you can get is the Commodore PET. 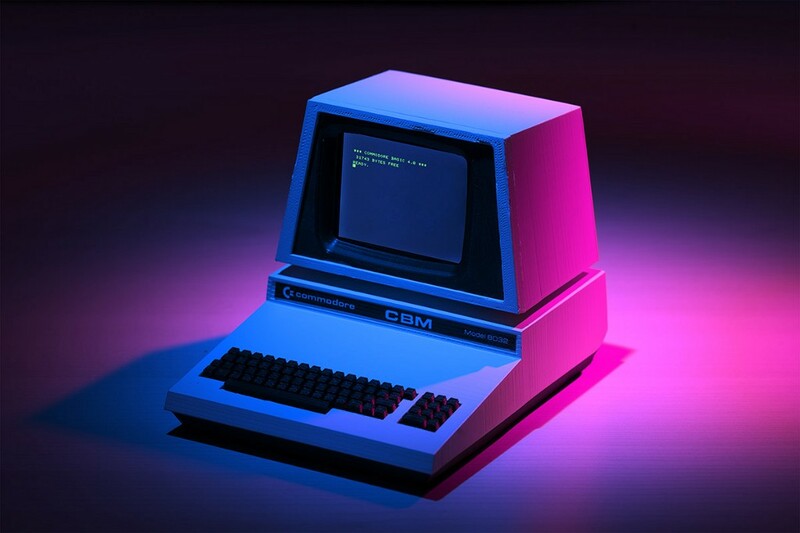 Now, you can 3D print your very own Raspberry Pi-based Commodore PET Mini. Thanks to the work of Lorenzo Herrera, AKA Tin Cat, you can build your own tiny Commodore PET 8032 — complete with working screen! It’s designed to house a Raspberry Pi — any of the full-size models will work — so you can use it to emulate the original Commodore PET, or use something like RetroPie to play classic video games. The display is a 2.8″ LCD from Waveshare, which is more than big enough for retro games — though you’re going to want a separate game pad since the keyboard is non-functional. To build this, you‘re going to need a 3D printer as well as filament in black and white. Aside from that, you just need the usual Raspberry Pi accessories, the screen, some ribbon cable and connectors, a power switch, and some magnets and screws to hold everything together. If you really want to make it complete, Tin Cat has even provided labels you can print. The build guide is very thorough, so you shouldn’t have any trouble following along to make your own tiny piece of computing history! 3D Print Your Very Own Raspberry Pi-Based Commodore PET Mini was originally published in Hackster Blog on Medium, where people are continuing the conversation by highlighting and responding to this story.